Papers Hot off The Press ...so Old!!! Pretty card, love the cake! What a scrummy card Sylvie, it's 13 degrees and blustery here!! Gorgeous card Sylvie. I love the look of that cupcake. The colours and layout are beautiful and your detailing is fabulous too. Hi Sylvie, this is such a pretty card. We had a lovely taste of summer last weekend, shame it didn't last long! A very pretty card Sylvie, love the design and gorgeous details. Just heard the weather for us which is going to be showers and about 15 C ! I like it though so I'm happy.....lol! 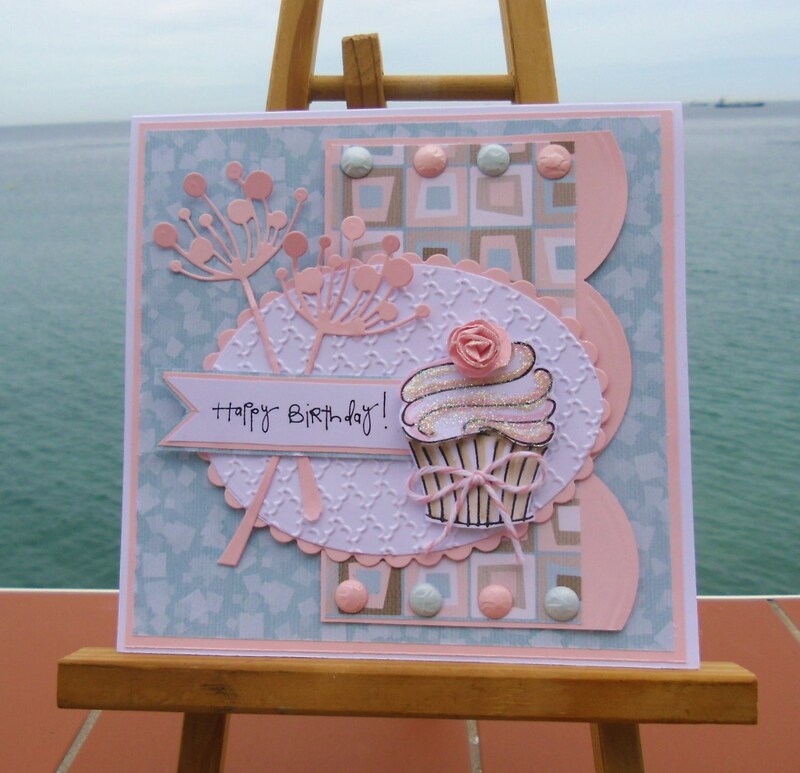 Hi Sylvie, Always fabulous cards when I visit here, this one's another beauty, lovely colours and design! hi Sylvie hope you are ok, yes we did miss each other at ally pally I looked for you all day I left my phone at home so didn't have your phone no. with me, got my sad face on now! So pretty Sylvie. That cupcake looks delicious and I love the colours you've used - very Cath Kidston. Fab! Freezing, windy and wet here!